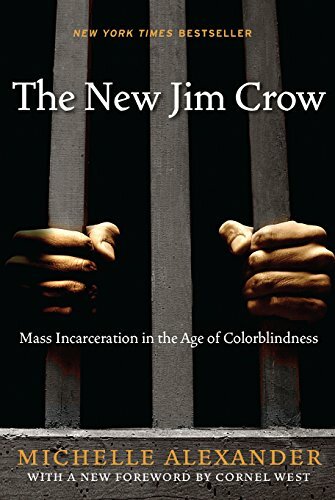 The New Jim Crow has been on my to-read list forever. It’s a much-cited work about mass incarceration published back in 2010, and I’m so glad I finally read it because I think it’s a foundational text, and a lot of other books I’ve read build on the ideas Alexander presents. Alexander acknowledges the difficulty inherent in promoting the rights of convicted criminals. Criminals, she points out, are the only caste of people that we’re all allowed to openly despise. It’s very easy to argue that if people, specifically black men, don’t want to be incarcerated, they simply shouldn’t commit crimes. Alexander dismantles that argument by showing all the factors that lead many black men to commit crimes and why they are more likely to be arrested for those crimes. She also drives home the point that white people commit drug crimes at equal or higher rates than black people do, but are far less often arrested and imprisoned. She rightly points out that we are all criminals; we have all broken the law at some point. That hit me especially hard, as I got a speeding ticket the same week I read those words. I had already read about the War on Drugs from a policy standpoint in Dog Whistle Politics by Ian Haney-Lopez, but Alexander’s focus on the impact of that policy on individuals was enlightening in a whole new way. I had no idea of the costs of being branded a felon, how many rights are taken away, sometimes for the rest of people’s lives. I also hadn’t given much thought to the effect of denying convicted felons the ability to get affordable housing, quality employment, and government benefits. It seems patently unfair to release people from prison and expect them not to reoffend when we provide no support whatsoever to help them rebuild their lives. Also, if you’re not convinced mandatory minimum sentencing laws are terrible, read this book and learn just how draconian they can be. This book dovetailed nicely with another of my recent books, Reading With Patrick by Michelle Kuo. The general points made by Alexander were illustrated on a personal level in Kuo’s experiences with her former student, who was imprisoned for murder. Both authors humanize people who commit crimes, showing the social and political forces that led to their incarceration and making a compelling case for clemency. Just Mercy by Bryan Stevenson of the Equal Justice Initiative would be another great pairing, as would White Rage by Carol Anderson. One of the biggest questions this book leaves me with is: what can I do to help? Alexander admits that a full answer to that question is beyond the scope of her book, but she does discuss what a new civil rights movement will need to look like in order to be successful. She says the fight needs to go beyond the courtroom and isolated cases and become a grassroots movement of the people. I thought this was incredibly prescient, as the book was published well before the advent of Black Lives Matter, a movement that in many ways seems to be exactly what Alexander was envisioning. It makes me even more eager to read the recently published memoir of one of the movement’s founders, Patrisse Khan-Cullors, titled When They Call You a Terrorist.